How fast is Tegra 2? LG Optimus 2X first encounter: How fast is Tegra 2? Surely 2011 will be remembered as the year that dual-core CPUs made their smartphone breakthrough. Here we have the LG Optimus 2X pioneer and we are rushing to give you a preview of what dual-core CPU has to offer to you today. It’s not one of our typical previews you will be seeing here – we are just going to focus on the performance of the Optimus 2X and hopefully, the Tegra 2 platform it pioneers. Normally, we avoid getting into details about the performance of non-retail units, but this one is so good that it will almost be unfair to save the praise. 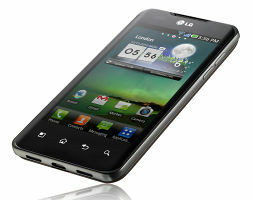 It doesn’t take a specialist to recognize that the LG Optimus 2X is the most capable smartphone released to date. You could probably argue whether a Retina screen or a SuperAMOLED aren’t contributing more to the general user experience, but as far as smartphone tasks are concerned, the Tegra 2 is what you would want to have by your side. Of course, that is only valid if the dual-core baby performance cashes all the checks that the LG PR department wrote. Everyone wants to feel a noticeable improvement in performance and unless the Optimus 2X provides, the bubble might burst. So let’s see what those benchmarks have to say about it. Join us after the break. if u have such a smartphone like optimus 2x so i will not look at the battery life.iphne has jus 5 hrs of tlktme 2x has 7 hrs.It is bettrr thn iphne n galaxy s2.